I have always loved to travel, and now that I am a mom I want to share my love of traveling with my kids. 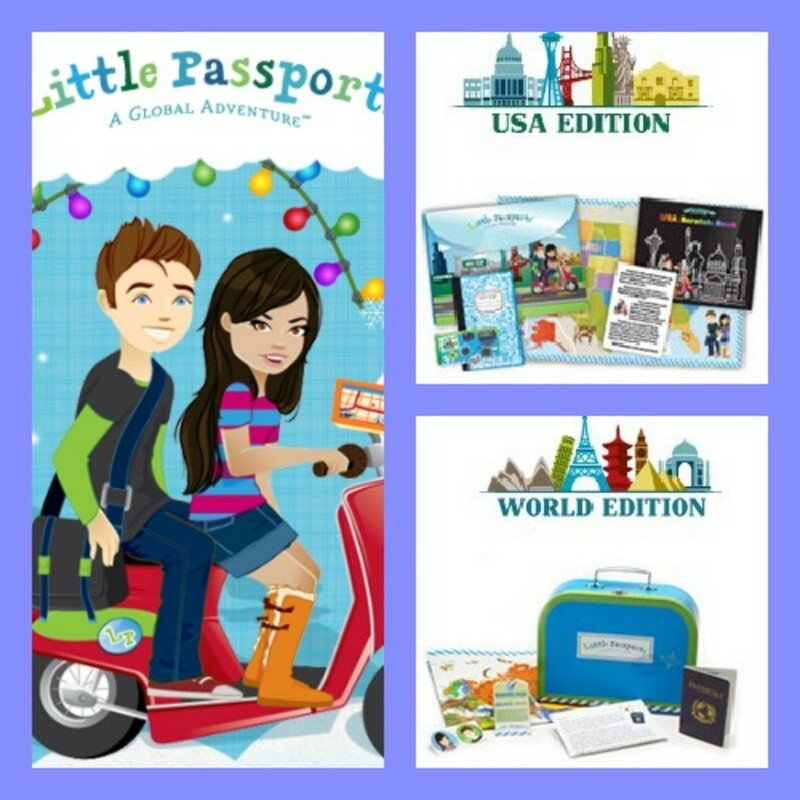 For inspire their excitement for the world, we have been checking out Little Passports, a monthly subscription &apos;? ?travel&apos;? service for kids 5-12 years old. Founded by two moms (and best friends) from San Francisco, Amy Norman and Stella Ma, the Little Passports system allows kids to receive a fun package filled with items from that month&apos;? ?s country or states from characters Sam and Sofia who travel the world on their magic scooter! This also includes two options package options: The USA Edition and The World edition. TheUSA Edition features characters, Sam and Sofia who visit two states a month. Through the pack, kids receive an activity booklet with 32 hand-on activities including a travel journal, stickers, postcards, pop-out models and access to more information and games/activities online. Through this system kids learn how to all about the geography and history of various states. In the World edition Sam and Sofia visit one country a month and send kids a letter talking about their journey, a souvenir and hands on activities that help the child learn all about that country. We received the starter kit and my daughter loved the adorable &apos;? ?passport&apos;? and stickers that it came with as well as the suitcase that she carries around every day. The package also comes with country specific packages filled with fun souvenirs, letters, stickers, photos, activity sheets and more! Tap into your child&apos;s inner traveler with the fun, interactive and educational packs from Little Passports.